This review that originally appeared in Critics at Large is reproduced here because the author through her central protagonist does not cross that line of darkness and descend into bigotry and xenophobia. – Tacitus, quoted by a character in Go, Went, Gone. As I write, German politics is on the cusp of a political crisis. Angela Merkel has provided a beacon of stability and pragmatism, if not vision and eloquence, for the last dozen years in governing the economic powerhouse of the European Community. Earlier this autumn, her centrist Christian Democrats lost sixty-five seats in the Reichstag while the extreme far-right party, the Alternative for Germany (AfD), gained ninety-four seats – with thirteen percent of the vote – primarily in the former GDR. The AfD, which chillingly speaks about the Volk that evokes a dark period in German history, capitalized on voter fear of immigrants after Merkel allowed over one million migrants in 2015-16 to enter Germany, even though the people who voted for AfD were relatively untouched by the flow of refugees. Merkel’s inability so far to forge a coalition that sidelines the AfD may result in Germans heading back to the polls – perhaps giving that xenophobic, anti-Islam party more seats. In this dispiriting time, a tonic that I would offer is the originally fresh novels of Jenny Erpenbeck, The Visitation, End of Days and the latest in her loose trilogy, the extraordinary and timely Go, Went, Gone (New Directions, 2017, translated by Susan Bernofsky). Erpenbeck, who was born and grew up in the former East Berlin, is attuned to the turbulence of German history in the twentieth century. The Visitation narrates that history through the lives of the successive inhabitants of a grand house by a lake who end up being dislodged because the changing political environment renders their continued presence dangerously precarious, a novel reminiscent of Simon Mawer’s The Glass Room. End of Days is a cleverly constructed novel that spans a century from Galicia at the turn of the twentieth century to the united Federal Republic of Germany that is perhaps refracted through the long life of one woman. I say “perhaps” because Erpenbeck repeatedly kills her off then revives her, the first time just after her birth by slightly changing the circumstances that led to her death, later as a desperate teenager who commits suicide, then as a middle-aged victim of a Stalinist purge. 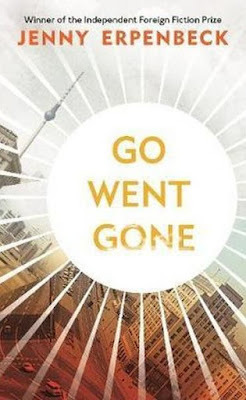 Go, Went, Gone is her best and the most satisfying in the trilogy. 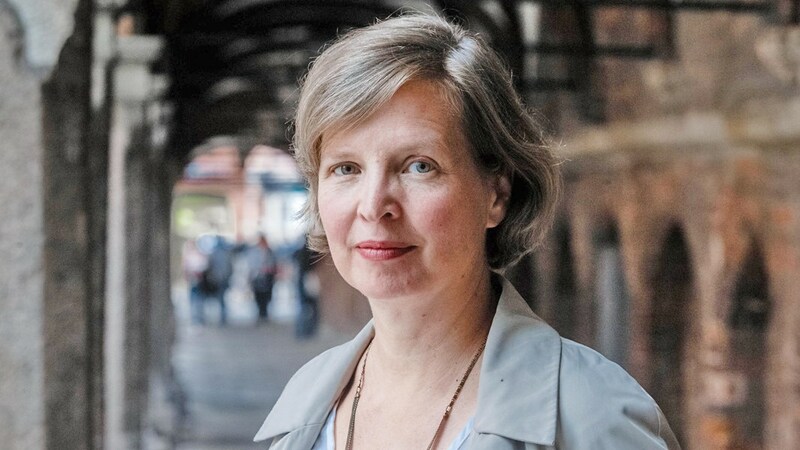 Unlike the previous novels that revisit Germany’s tumultuous history, the current one is set entirely in contemporary Berlin even though Erpenbeck is sensitive to how that history reverberates in the memories, both personal and collective, of her major protagonist. 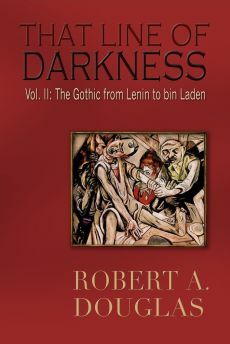 Richard is a widowed, recently retired professor of classical philology and the novel is studded with several classical references and more recent historical memories. Richard lives in a comfortable home overlooking a lake in a Berlin suburb. His life has settled into a quiet, self-contained quotidian, which Erpenbeck lays out in the early pages from the food he eats to the errands he undertakes. Having lived most of his life in the former GDR, Richard rarely drives to the former West Berlin because he gets lost (a detail that personally resonated since I have visited Berlin three times since the Wall was dismantled and familiar landmarks from a previous trip have often been displaced as the city rebuilds). Erpenbeck inserts motifs that provide clues into the nature of Richard’s character. Richard is disturbed that a man has drowned in the lake in the early summer and his body has not been found four months later, a seemingly innocuous detail. But Richard’s frequent allusions to the drowning signal that it is a touchstone for something significant. Another seemingly small detail: Richard as an infant was caught up, in his mother’s words, in “the mayhem of war” and was temporarily separated from her, an episode that, when it is recalled later in the novel, acquires greater resonance. These two incidents offer important insight into Richard’s character: that he is preoccupied by placid surfaces to keep at bay emotional turbulent undercurrents. 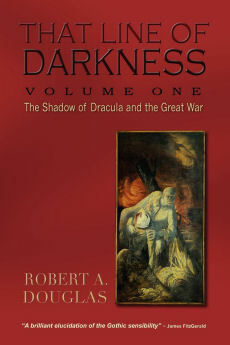 The novel kicks into a higher gear when Richard watches a television news report about a group of Africans on a hunger strike to protest their legal limbo at Alexanderplatz in central Berlin, something that astonishes him since he had walked through the area earlier in the day and had not noticed their protest because he was preoccupied with the possibility that there were underground tunnels in the square. Richard, realizing he knows little about Africa, out of curiosity starts to read about it and is surprised that there are fifty-four countries. He takes some satisfaction that, as he writes out the name of each country and their capital, he is not as ignorant as the (then) American Vice President who referred to the continent as a country. After two weeks of research, he compiles a list of simple, almost childlike questions (and I do not mean that in a condescending manner) and resolves to meet with these men, to some he assigns classical names, who are being sheltered at a disused part of a nursing home. Soon after meeting them, his intellectual interest as an interlocutor turns into a cause as he develops a genuine empathy for these asylum seekers. Richard may remind some readers of Walter Vale, the widowed professor in Tom McCarthy’s 2007 film, The Visitor, who acquires a new lease on life after he becomes involved with a couple of illegal immigrants. But Richard does not go through the motions of life as robotically before or as passionately after as Walter’s connection with these refugees. Diffidence is a hallmark of Richard’s character throughout even as he finds a purpose in his life; the same applies to the refugees he initially questions and later befriends – until they erupt with anger when threatened with expulsion – and to the author herself. Richard listens and does not know how to respond. Who would? He attends their German-speaking classes – hence the novel's title – and continues to teach them German on his own. Soon he invites some of them to his home, cooks for them, and teaches one to play the piano, as well as drives them to see a lawyer and a dentist and helps to organize a protest march for them. His increasing research does not portend a propitious outcome for these men; some had spent time living in Italy considered a safe country to which they will likely be returned. But he must do something and he does, even though his helpful actions will benefit only a few of them. Erpenbeck does not explain Richard’s transformation from a curious observer to committed activist. Yet it is tempting to speculate that he identifies with these displaced Africans because of his own personal circumstances. Just as they almost drowned in the horrific journey from Libya to Sicily, he almost “drowned” in the “mayhem of war” as an infant. He too was displaced when his country disappeared in 1989 bequeathing him a smaller pension than his colleagues who lived in the former West Germany, and a Stasi file that contained personal information about his extramarital affair and his late wife’s alcoholism. I want to be clear: Richard does not make these comparisons but one of the virtues of reading Erpenbeck is that she encourages readers to think about what they are reading and draw their own connections. Throughout the novel, Richard must contend with the caterwauling of misinformation that circulates through the social media. The asylum seekers are considered unproductive when in reality, although they want to work, the law excludes them and in effect bars them from integrating into society. They are portrayed as merely economic refugees who prevent bona fide refugees from entering the country. Richard rarely responds, considering the nonsensical blather to be white noise. Even when friends make disparaging and insensitive remarks, Richard refrains from comment wondering only how it was possible that he and his wife used to go on vacations together with this couple. Erpenbeck has wisely opted for a low-key approach lest her novel become didactic and turn into a polemic. Occasionally, her feelings slip into the text, for instance, in a conversation between Richard and a lawyer about current laws and an insensitive German bureaucracy: the refugees “survived the passage across a real-life sea” to “drown in rivers and oceans of paper.” Nevertheless, her artistry offers a quiet meditation on how one may find meaning in life and perhaps shows us how to be more human.